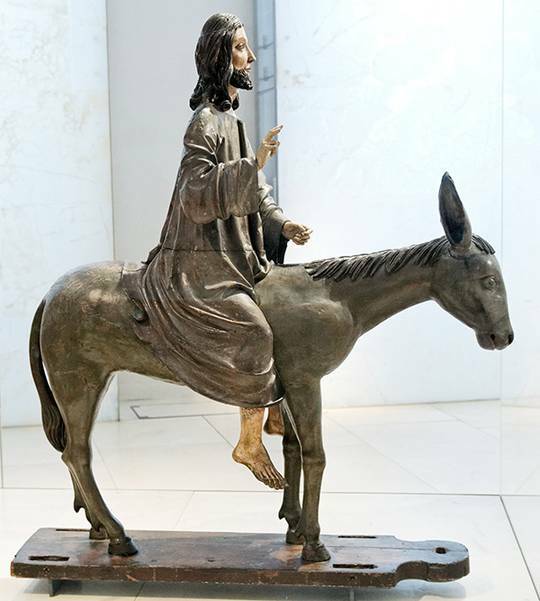 Co-organized by Institute of History of Art, University of Warsaw and National Museum in Warsaw. * Emotional and psychological agency of things. Papers should be twenty minutes in length and will be followed by a ten-minute Q&A session. Please e-mail an abstract of no more than 300 words to Ika Matyjaszkiewicz and Patrycja Misiuda-Ramlau to agencyofthings@uw.edu.pl. Along with your abstract please include your name, institution, paper title and a brief biography of no more than 150 words. The conference proceedings will be published after the event, therefore please indicate whether you would be interested in further developing your paper for a publication. Deadline: 30 November 2014. Successful applicants will be notified by 30 January 2015. This entry was posted in Call for Papers, Call for Participants, Conference, Uncategorized, Upcoming Events and tagged agency of things, call for papers, Conference, material culture, thing studies, University of Warsaw on November 13, 2014 by michaelazoeschg. Domestic Devotions in the Early Modern World, 1400-1800. Across faiths and regions and throughout the world, the home was a centre for devotion in the early modern period. Holy books, prayer mats, candlesticks, inscriptions, icons, altars, figurines of saints and deities, paintings, prints and textiles all wove religion into the very fabric of the home. While research into religious practice during this period often focuses on institutions and public ceremonies, it is clear that the home played a profound role in shaping devotional experience, as a place for religious instruction, private prayer and contemplation, communal worship, and the performance of everyday rituals. Plenary speakers will be Debra Kaplan (Bar-Ilan University), Andrew Morrall (Bard Graduate Center) and Virginia Reinburg (Boston College). Please email abstracts of no more than 300 words to Maya Corry at mc878@cam.ac.uk, Marco Faini at mf531@cam.ac.uk, and Alessia Meneghin at am2253@cam.ac.uk by 7th January 2015. Along with your abstract please include your name, institution, paper title and a brief biography. Successful applicants will be notified by 7th February 2015. The conference will take place at St Catharine’s College, Cambridge. College accommodation will be bookable nearer the time. Registration fees (tbc) will be kept as low as possible and graduate bursaries will be available to help with costs. 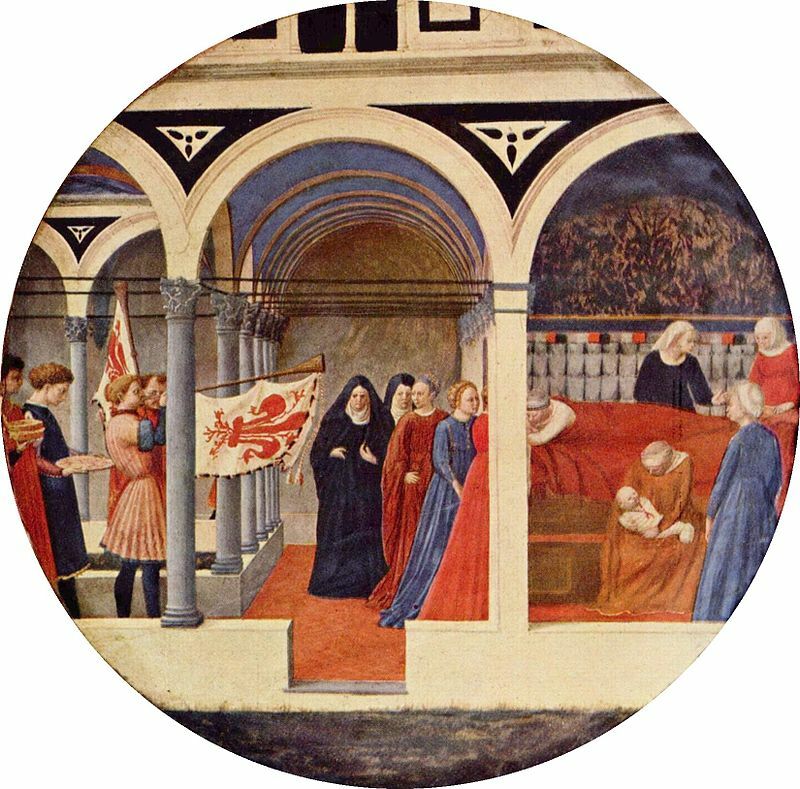 This entry was posted in Call for Papers, Call for Participants, Conference, Uncategorized, Upcoming Events and tagged call for papers, Conference, domestic devotion, household religion, piety, Renaissance Italy on November 13, 2014 by michaelazoeschg. Foldable Pictures. Implications of Mediality. Book pages, diptychs, and triptychs were popular formats for the presentation of images in the medieval and early modern periods. In addition to their ubiquity, these objects also share one essential material feature: the supports that carry the images are movable. The most obvious consequence of the mobile presentation is the consecutive progression of different views. Only in recent years did scholars begin to consider the processes of transformation that the opening and closing of pictured surfaces generate, for example the strategies of layering or folding images and the production of tacit knowledge caused by such formats. Using foldable pictures leads to a metaphorical coding of entire object classes, but also to a semantization of specific object areas (the dichotomy of inside and outside as, for example, “secular” versus “sacred”, or “accessible” versus “secret”). Furthermore, also structural features such as borders or thresholds, hinges, and cleavages play a decisive role in these processes. Thanks to the viewer’s memory, images “hidden” beneath other images begin to “gleam through” and become virtually present nonetheless. Movability also creates multiple lines of vision or additional moments of contact between represented persons. This conference will explore the range of recently observed phenomena, and discuss their implications for the concept of the image in medieval and early modern period. 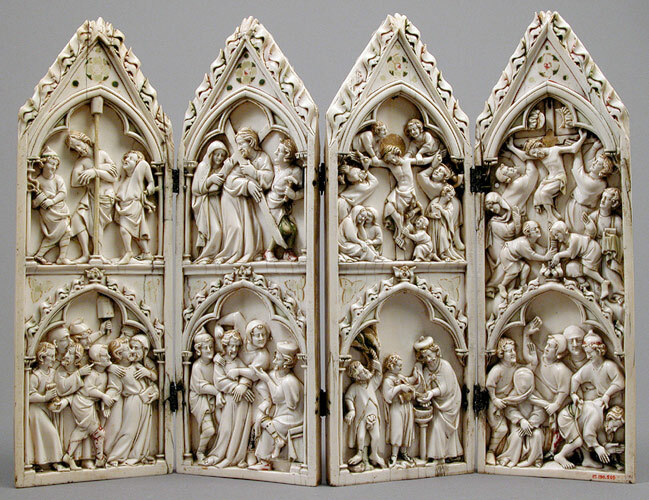 This entry was posted in Conference, Uncategorized, Upcoming Events and tagged conference programme, diptych, early modern studies, foldable objects, medieval studies, triptych, University of Zurich on November 13, 2014 by michaelazoeschg. This entry was posted in Call for Journal Submissions, Call for Papers, Call for Participants, Publications, Uncategorized and tagged call for journal submissions, Hortulus Journal, interdisciplinary studies, medieval studies on November 5, 2014 by michaelazoeschg. The Warburg Institute: The Warburg Institute is dedicated to the interdisciplinary study of the classical tradition – in the sense of those elements in European thought, art and institutions that have evolved out of the cultures of the ancient world. Its Library and Photographic Collection are designed and arranged to encourage research into the processes by which one culture learns from another and by which different fields of thought and art act on each other. They are particularly concerned with continuities between the ancient Mediterranean civilizations and the cultural and intellectual history of post-classical Europe, especially in the period to c. 1800. The Institute is offering a long-term Frances A. Yates Fellowship of two or three years tenable from October 2015. Frances A. Yates Long-Term Fellowship: Dame Frances Yates, who died in 1981, generously bequeathed her residuary estate to found research Fellowships in her name at the Institute. Fellows’ interests may lie in any aspect of cultural and intellectual history but, other things being equal, preference will be given to those whose work is concerned with those areas of the medieval and Renaissance encyclopaedia of knowledge to which Dame Frances herself made such distinguished contributions. Eligibility: The Fellowship is generally intended for scholars in the early stages of their careers. Candidates may be pre- or postdoctoral but must have completed at least one year’s research on their doctoral dissertation by the time they submit their application for a Fellowship and, if postdoctoral, must normally have been awarded their doctorate within the preceding five years, i.e. after 1 October 2009. If their doctorate was awarded before this date, they should explain the reasons for any interruption in their academic career in a covering letter. General Conditions: Those employed as Professor, Lecturer or equivalent in a university or learned institution may normally hold an award only if they are taking unpaid leave for the whole of the period. The Fellowship may not be held concurrently with another Fellowship or award. The Fellow will be expected to participate in the life of the Institute and to put his/her knowledge at the disposal of the Institute by presenting his/her work in a seminar and by advising the Library and Photographic Collection. The Fellow may teach elsewhere during tenure of the Fellowship only with the express permission of the Director. The Fellow will be required to present a brief written report at the conclusion of the appointment. A Fellowship may be terminated if the Appointing Committee is not satisfied that the conditions of the award are being met. All publications containing results of work done with the aid of a Fellowship shall include adequate acknowledgement of the fact. Value of the Fellowship: The starting salary of the Fellowship is expected to be £ 28,408 p.a. including London Allowance. Payment will be made monthly in arrears and is liable to deductions for tax and National Insurance. The person appointed will be deemed automatically to be a member of the Universities’ Superannuation Scheme (USS) and will have contributions deducted accordingly. Once full information on the Scheme has been received, he/she may elect in writing to withdraw from the Scheme. Tenure: The Fellowship is tenable at the Institute. The Fellow will normally be expected to be at the Institute full-time during the academic terms (which does not exclude the use of other libraries and archives) and to live within commutable distance of the Institute. Selection: Shortlisted candidates only will be contacted in late January to invite them to send samples of their written work. Shortlisted candidates will then be informed whether they will be invited for an interview, which will be held in March 2015. 1. Completed cover sheet (download cover sheet by clicking here). 4. The names and addresses of not more than three persons who have agreed to write, without further invitation, to the Acting Director, Dr Raphaële Mouren, in support of the application. These letters of reference should reach the Acting Director by Friday, 28 November 2014. They must be signed by the referee and sent separately by the referee direct to the Acting Director of the Institute. References may be scanned and sent by e-mail to warburg(at)sas.ac.uk or forwarded in hard copy by post. It is the responsibility of candidates to ask their referees to submit references by 28 November 2014. 5. If you wish to add any additional comments you may enclose a covering letter. 6. Please note that all application documents must be sent as a single PDF or Word document. Please name your application document as follows: Surname_LTFellowshipApplication, e.g. Smith_LTFellowshipApplication. 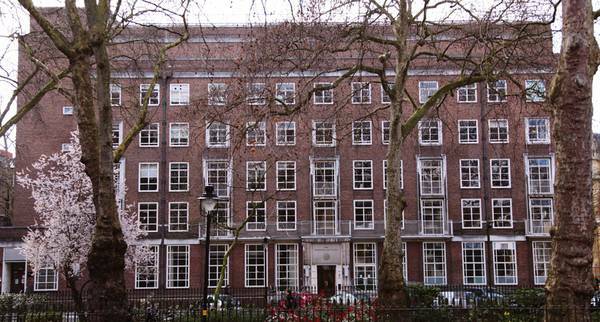 Please send by email to warburg(at)sas.ac.uk by Friday, 28 November 2014. 7. Application documents (including the CV and research proposal) must be provided in English. We prefer references in English but if necessary will accept references in French, Italian, Spanish or German. 8. Applicants are asked to complete the Equal Opportunities form, which can be downloaded by clicking here. Please send this as a separate file named Surname_EqualOppForm to warburg(at)sas.ac.uk. Candidates should NOT submit publications or written work with their application. Those who are shortlisted will be contacted in late January and will be invited to send material at that stage. Closing date: Applications must arrive at the Institute no later than Friday, 28 November 2014. They must be sent by email to warburg(at)sas.ac.uk. This entry was posted in Funding and scholarships, Jobs, Uncategorized and tagged cultural history, France A. Yates, intellectual history, postdoctoral fellowship, predoctoral fellowship, research fellowship, The Warburg Institute on November 5, 2014 by michaelazoeschg. The editors of the Journal of Medieval Iberian Studies (JMIS) and Routledge are delighted to offer the first annual $500 prize for the most outstanding article published in JMIS in 2015. All articles published in JMIS in 2015 will automatically be considered for the Best Article Prize, and all submissions received during the calendar year 2014 will be considered for publication in 2015. All submissions should be uploaded electronically through our online submission system (http://mc.manuscriptcentral.com/jmis). Please direct any inquiries to simon.r.doubleday@hofstra.edu. 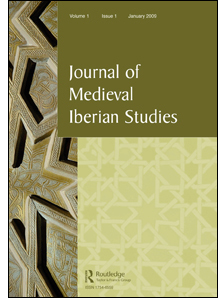 The Journal of Medieval Iberian Studies (JMIS) is an interdisciplinary journal for innovative scholarship on the multiple languages, cultures, and historical processes of the Iberian Peninsula, and the zones with which it was in contact. We encourage submission of all innovative scholarship of interest to the community of medievalists and Iberianists. JMIS, which aims to bring theoretically informed approaches into creative contact with more empirically minded scholarship, encompasses archaeology, art and architecture, music, philosophy and religious studies, as well as history, codicology, manuscript studies and the multiple Arabic, Latin, Romance, and Hebrew linguistic and literary traditions of Iberia. We welcome work that engages peninsular Iberia in relation to other parts of the ‘post-classical’ world; which explores links of colonization and exchange with the Maghreb, addresses Iberia’s presence in the Mediterranean, or adopts a transatlantic frame. The prize will be awarded by a panel of judges appointed by the Editor-in-Chief of JMIS. The judges’ decision will be final, and no correspondence will be entered into. This entry was posted in Prizes, Publications, Uncategorized and tagged article prize, Essay Prize, Iberian studies, Journal of Medieval Iberian Studies, medieval studies on November 5, 2014 by michaelazoeschg. The Studium Generale Marcianum is proud to present the symposium dedicated to the Church and Monastery of San Zaccaria in Venice. This is the fourth of a series of conferences related to the project “Chiese di Venezia. Nuove prospettive di ricerca” (The Churches of Venice. New Research Perspectives) aimed at studying some selected Venetian churches. During these conferences, groups of scholars participate to discussions and activities related to the churches and their history, exchanging comparative researches on different fields. The results of each symposium enhance new direction of research and are yearly published in a new series of volumes edited by Marcianum Press. The Benedictine Monastery of San Zaccaria, founded by the Doge of Venice before the church of St. Mark and close to the political and religious centre of the city, was one of the wealthiest Venetian ecclesiastical institutions. The art and architecture of the two fifteenth century paired churches, many aspects of the history of the monastery and the life and artistic patronage of the nuns have been the subject of several researches in the past. The goal of this conference is to integrate and update those contents with new contributions, to address some specific questions which have not been sufficiently investigated yet and to critically analise the events, issues and critical works from a comparative point of view. The focus of this study will be the life of the monastery during the period between the ninth and the sixteenth century: its wide and central urban “territory”; the construction phases of the ancient church; the architecture of the “new” church and monastery; the magnificent wooden choir of the nuns; the rituals, traditions and transformations of the two churches occurred between the fifteenth and seventeenth century and the seventeenth and eighteenth century decoration of the church with some paintings representing the splendor of the monastery. The last session of the conference will be held in the church of San Zaccaria and in the former monastery (now headquarter of the Comando Provinciale dei Carabinieri) which will be open to the public for this special occasion. Thanks to the presence and contribute of a group of respondent-guests, some key issues and problems regarding the art and architecture will be taken up and discussed in situ. The officer of the Sovrintendenza, together with some restorers, will illustrate the conservation interventions carried out recently or still going on. For a wider audience than that of the “insiders” a side event will be organized: the concert of the Reverendissime Gentildonne, during which music and readings will alternate in the church of San Moise. The church and the monastery of San Zaccaria will be open to the public thanks to the contribution of the students of the degree course in Cultural Heritage of the Istituto Superiore di Scienze Religiose San Lorenzo Giustiniani, who will do some guided tours for the participants. 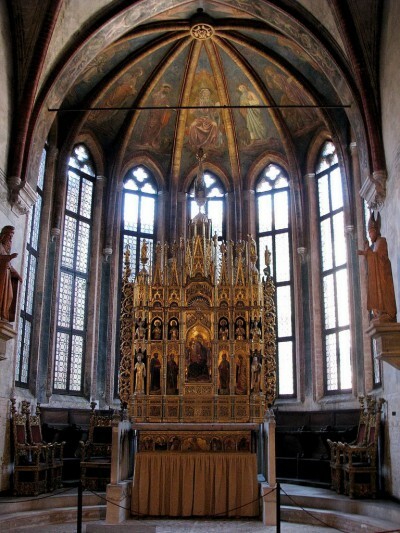 This entry was posted in Uncategorized, Upcoming Events and tagged Conference, conference programme, female monasticism, San Zaccaria, Studium Generale Marcianum, Venice on November 5, 2014 by michaelazoeschg.